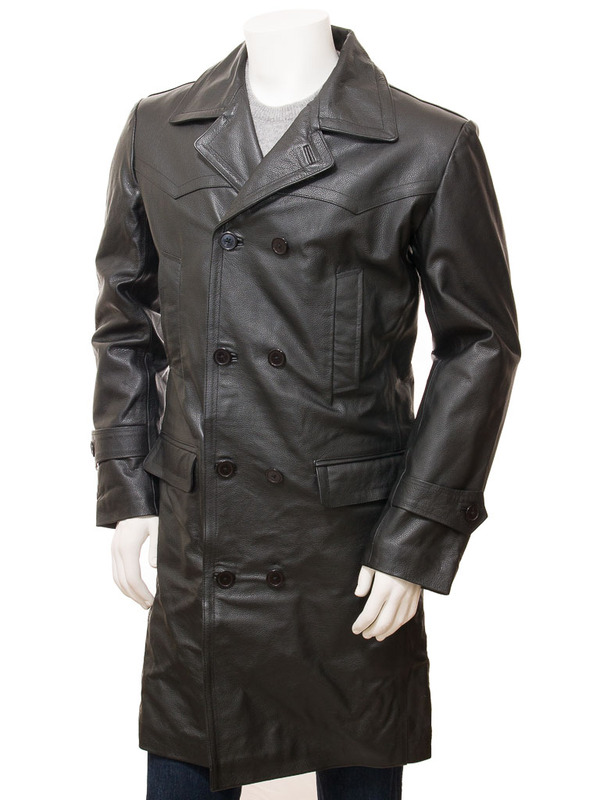 A tough and durable, longer length, black leather trench coat. 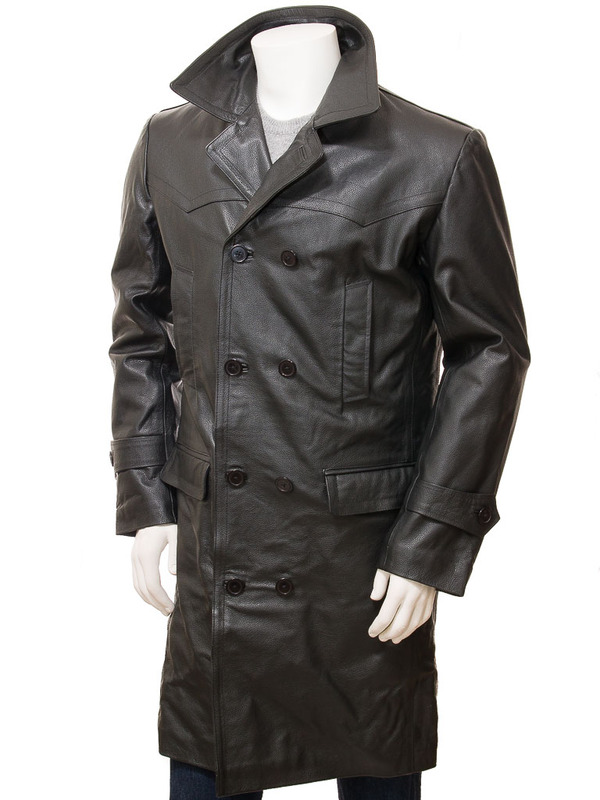 Crafted from cow hide and based on the classic peacoat, the Ashton is a four button, double breasted coat with notched lapels. 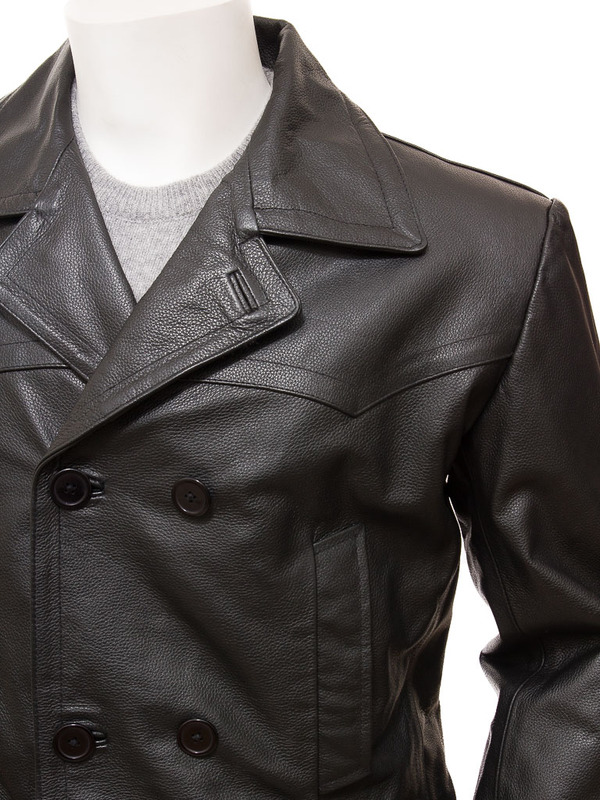 There are two inset handwarmer pockets at the waist and two horizontal flap pockets on the hip. On each wrist is a button strap which is mirrored on the back with a half belt that allows the coat to be cinched at the waist. 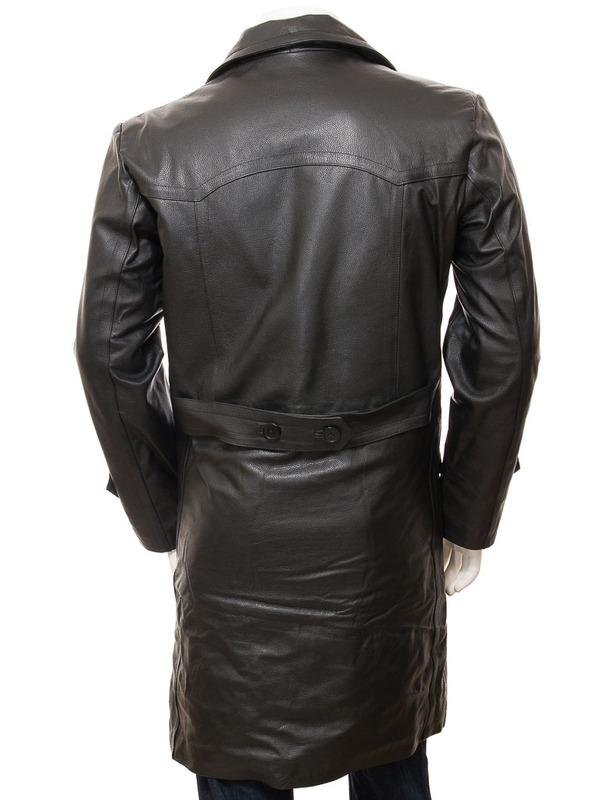 Open the coat up to reveal a full quilted satin lining with two more, generous, leather trimmed pockets. One of these is zipped to protect your wallet or phone. Please note, this coat is sized to fit over a suit or formal jacket. If you don't intend to wear it in this way then choose a size smaller than our recommendation from the size guide.